Should I Share My Poetry and Fiction Online? 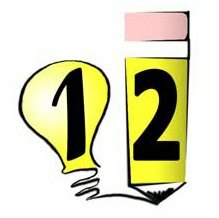 12Writing - Workshops for Creative Writers and Teachers: Should I Share My Poetry and Fiction Online? Should I Share My Poetry and Fiction Online? It's the "Catch-22" of publication: you want to publish your work, but many publishers want you to have following before they'll publish your work. To get the following, though, you need to share your work online...but then it counts as "already published," and then you can't send it on to magazines or booksellers. (thanks to Luna S. for pointing this out!) Read on to learn how you can navigate this tricky aspect of self-promotion. Many writers face this issue, especially those who are trying to publish poetry collections and novels. Usually, literary magazines are willing to publish individuals who don't have a large online following, so it's not as much of an issue if you're just looking to publish a couple poems or a short story. Magazines usually have an established audience, and they don't look to their submitting authors to also promote the subscription. Books by first-time authors, on the other hand, don't have an established group of readers. Before publishing any kind of book, most publishers want to make sure that they'll be able to make money, and they now look to the first-time writers to do much of the book promotion themselves. This places a lot of pressure on unpublished authors. You want to share your work to build the audience before you attract agents, but you need to be careful not to take your own best work off the market. Once you've published a poem or story online for the world to see, it is considered published, and you will probably not be able to convince anyone to republish it for you. (And don't try to "sneak it past" a publisher by saying it's not published - when you sign a contract with a publisher, you are granting them first publication rights - you could actually be guilty of breach-of-contract if you post your work independently.) Basically, publishers don't want your online work to compete with the work they've just published in their magazine. For myself, I recommend keeping your online postings and the work you want published as two separate entities. Sometimes I like to take my notes and "failed" drafts and post them online, and I'll use these non-publishable works to help build my following. Also, you don't need to only post using only your creative work - you can also build a following by leaving comments for other writers and providing tips on how to write. That's how 12Writing came about - I wanted to attract people to my own work without actually posting my work online. However, there are times when you do want to share your creative work online, both to get feedback and to find people who are specifically interested in your poetry. With online forums, "published" means that your work is public domain, and thousands of people can read it. But not everything you post online is available to everyone. For example, if you publish something on your Facebook profile but set the privacy so that only your friends can see it, it's not actually published. There's a similar effect with some writing forums, but it depends on how large the forum is and how many people you're sharing work with on those forums. First, check to see who can view the work that's posted - if your work is visible on Google or can be viewed by a reader who's not a member of the forum, then it definitely counts as having been published. If, on the other hand, the forum is password protected, then you may be able to argue that the work you're sharing hasn't been published. However, if the forum is password protected, but thousands of people are registered for that forum and could read your work, then your work has essentially been published. It is good to share some of your work online especially poetry, but too much of everything is not beneficial too. By all means, if that would help you get writing jobs post some but refrain from showing it all. Reserved the best one that is so good enough for publication that will earn you some money. Thank you for this article. I have been a closet poetry writer for a long time now and have finally worked up the courage to share them with others. I have been looking for safe and free poetry websites where I could put up just a few of them to begin with. Thanks for the encouragement.